Many people living in New Jersey may find that they’ll need Medicaid or Managed Long-Term Services and Supports (MLTSS) care as they get older. If you or a family member is at this phase of life, or you require extra care because of a disability, there are Medicaid penalties to be aware of as you’re reviewing your options. What follows is a look at limits and penalties to keep in mind, so you avoid expensive or stressful mistakes that will delay or prevent necessary care. To be eligible for MLTSS in New Jersey, there are limits to both income and liquid assets. For 2019, an individual cannot make more than $2,313 a month, and the countable resource, or asset, limit is $2,000. For married people, the monthly income limit is the same, but the asset limit is $3,000. However, if a person’s monthly income exceeds these limits, there are still options. A Qualified Income Trust (QIT) can be established. This is a trust agreement that sets up a bank account in which the monthly income source that causes one’s income to exceed the income limit is transferred. This money will not be counted as part of the applicant’s income when determining Medicaid eligibility. But, keep in mind that there are requirements how the money in a QIT is spent. A gift penalty may be incurred when applicants intentionally or unintentionally reduce their countable assets to meet the asset limit for Medicaid coverage. Some applicants think that if they give away some of their property or money as a gift to friends or family that they can report lower countable assets. Other applicants simply fail to adequately document expenses, such as home care. This too may invoke a penalty. 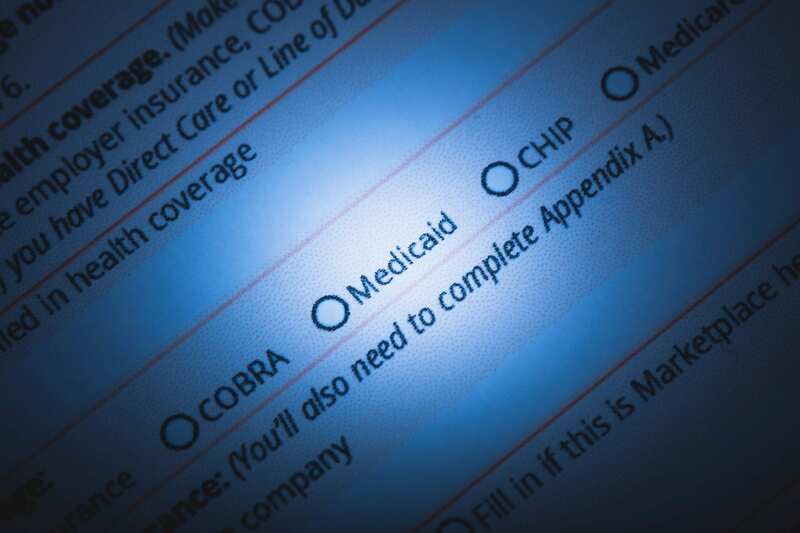 However, Medicaid has a look-back period, which is the time period in which the County reviewing the application may examine. This is accomplished by examining monthly statements from every financial institution during that time period. In New Jersey, the look-back period is five years, and the clock starts as soon as a person is determined to be eligible. If such gifting transactions are found, penalties will apply unless the applicant successfully rebuts the presumption that the gift was given for the purpose of qualifying for Medicaid sooner. The resulting penalty is how long the applicant must wait before she may receive long-term care services through Medicaid. Penalties may apply if the asset was given to another person as a gift, or the applicant sells the property and receives less than its actual fair market value. In New Jersey, Medicaid penalties are calculated by first assessing the total gift amount and dividing it by $343.85 per day, about $10,000 per month. The resulting number translates to the number of days (months) one must wait before she is eligible for coverage. For instance, if a gift were worth $50,000 during the look-back period, the penalty period is 146 days, nearly 5 months. Understanding these penalties and limits will ensure you or your loved one will take all necessary steps to successfully apply and qualify for Medicaid or MLTSS coverage in New Jersey. Whether you need coverage yourself, a loved one, or are a caregiver, make sure you address these issues. Also, note that even if a penalty exists, a competent Elder Law Attorney may be able to minimize the financial fallout. Because New Jersey regulations can change year by year, it’s always a good idea to sit down with a Certified Elder Law Attorney to discuss your options. At NJ Elder Law Center, our legal professionals know each and every detail of changing laws and can guide you through the application process. Get in touch with our team today to learn more about how our Medicaid and Estate Planning services can provide you, or a loved one, with all the coverage and asset protection you need. ‹ Can a Senior Stay at Home Too Long?